Can serve Home Automation, Manufacturing, Transport & Roadways and many such sectors. The Internet of things (IoT) is the network of interrelated physical devices, vehicles, and other items embedded with electronics, software, sensors, actuators, animals or people that are provided with distinctive identifiers and network connectivity which enable these objects to collect and exchange data without requiring human-to-human or human-to-computer interaction. Internet of Things is penetrating the life of humans at all levels. Today, IoT is present in Home Automation, Manufacturing, Transport & Roadways and many such sectors which Softlabs is already serving. Softlabs is exploring comprehensively to encompass thorough insights into the entire perception of IoT. We are explicitly enhancing our skills in Big data and IoT as there is immense data generated in today’s Industrial Market that needs to be analysed and processed systematically in order to gain maximum insights about their functionalities and countless applications. Get the guidance you require to take the finest route toward digital transformation, cloud adoption, and sustainable innovation. We flawlessly connect the physical with the digital. Create new connected products and renew standalone products into smart ones capable of accomplishing more. We assist enterprises in their IoT System Integration with Certified IoT engineers and data scientists with profound expertise in the domain, engineering, IT, and analytics. We assist companies to manage and maintain services across the IoT stack with our asset management solutions that provide factory visibility, asset monitoring, and predictive maintenance. We, at Softlabs Group, are a global Software Development Company. We clearly understand the need for IoT in the businesses and deliver high-quality IoT services and solutions. 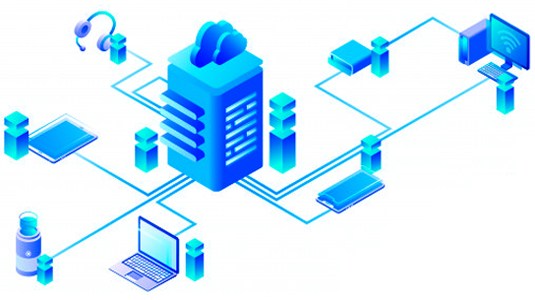 Our IoT services help businesses to build the connected business, simplify business operations, enhance employee productivity, enhance customer experience, and to grab new business opportunities. Our goal is to transform your devices into ‘smart devices’ and transform your business to ‘smart and connected business’. Therefore, enabling you to harness the power of future technology and to stay a step forward to the competition. We offer innovative IoT Solutions for businesses all over the globe. Suppose you are on your way to a meeting by car, you get stuck in the traffic. If your car has access to your schedule or mobile calendar, it can inform the concerned person that you will be late (Only if your car is implanted with a location tracking device and programmed with the actual time taken to reach the office). In this condition, the actions can be automatic or manual between the things-things and human-things. 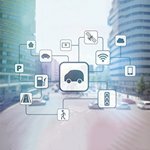 Below are few examples of IoT that show exactly why there is so much buzz around IoT.Without further ado, let’s take a look. Canary’s Smart Security System intends to provide an all-inclusive solution to home security difficulties. Not only does Canary work with both Google Assistant and Amazon Alexa, but it also includes embedded AI technology, a 1080p HD camera, microphone, a 90 decibel siren, and a built-in climate monitor. When they say all-inclusive, they really mean it. This Internet of Things (IoT) example shows that IoT platforms can have expanded uses within the home than just making processes more effective. The Canary system enables users to review security footage from their app, even at night since the Canary consists a night-vision camera. DHL’s IoT tracking and monitoring system, tracks everything from vehicle behavior to packages to eco-friendly sensors in the warehouse. Each of these are used together to make the process more secure and more efficient. This kind of logistical IoT solution is still far from being mature, but shortly companies like DHL will operate through these systems on a large scale. As these technologies improve, systems will just turn out to be more efficient and do a better job of delivering the best possible performance. Cisco has taken on the challenge of creating a connected factory which can only work because of IoT. 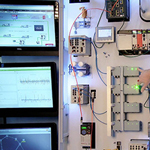 With remote monitoring and access, Cisco can control factory machines and systems. This can be utilized to both increase efficiency and find weak points in the manufacturing process that can be improved. However, it is not just the factory which is connected, but the whole production process. Cisco has partnered with other IoT companies to take on the challenge of optimizing everything with IoT. Despite they still have a ways to go before everything is absolutely functional, efforts like this show that not only are people interested in IoT, but committed to creating an IoT future. 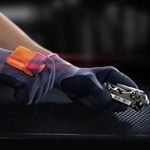 ProGlove’s ‘Mark’ is the world’s first smart glove for mechanical workers. By blending IoT and wearables solutions in one device, ProGlove is making mechanical workers safer and more efficient at their jobs. The glove is designed to meet the safety conditions of an industrial environment in co operation with real-time visual and haptic feedback, wireless connectivity, and gesture sensing. The gloves are additionally furnished with a barcode scanner for quality checking and documenting assembly.